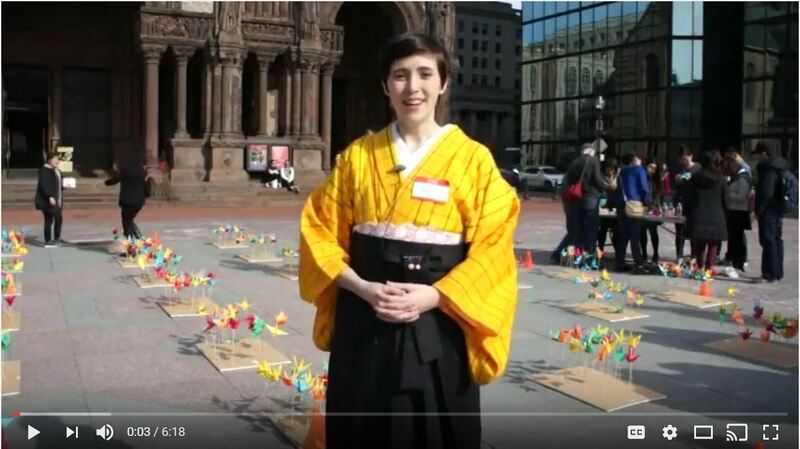 My name is Timothy Nagaoka, and I teach Japanese in the Boston Public Schools. 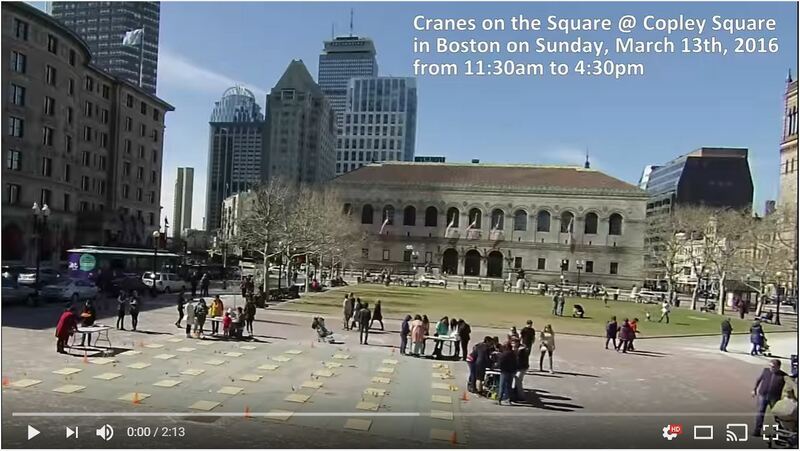 With the support of the Japanese Consulate in Boston, Showa Women's Institue, the Fish Family Foundation, Boston's Department of Parks and Recreation, and the Japan Society of Boston, I am organizing an event called, "Cranes on the Square @ Copley Square" on Sunday, March 12th, 2017 on the Plaza of Copley Square in Boston. The event will commemorate the Sixth Anniversary of the Great Northeast Japan Earthquake and Tsunami that struck Japan on March 11th, 2011. 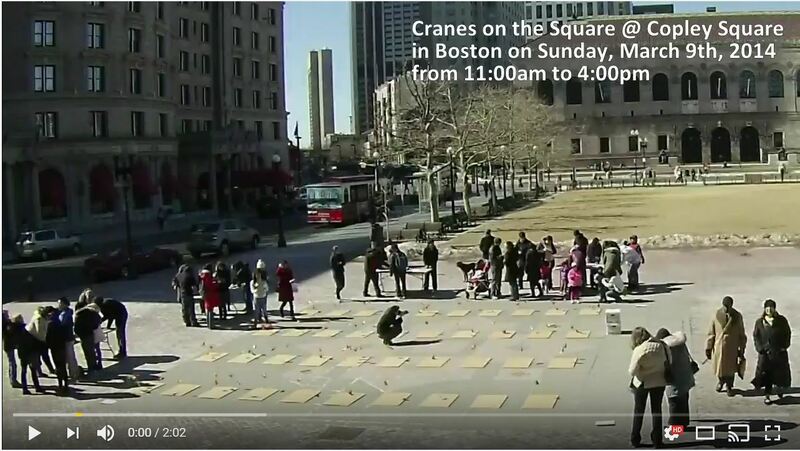 "Cranes on the Square" will take place on the Plaza of Copley Square in Boston. The event is open to the public, and it is free to participate. The event is centered around an interactive display where passersby will participate in making paper cranes, which they will then add to the display. 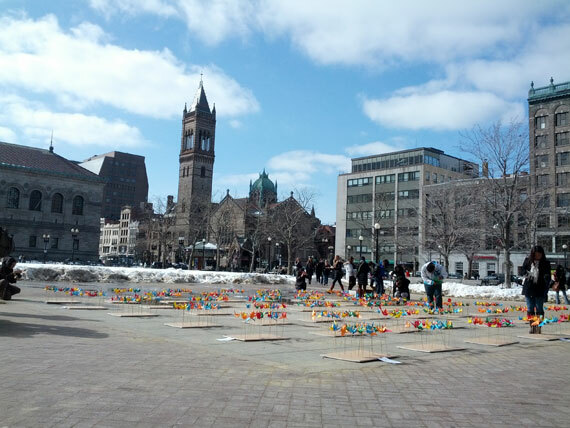 Cork Styrofoam panels will be placed on the plaza, and as the participants fold the paper cranes they will use skewers to stick the paper cranes onto the panels. As more people participate, the panels will fill with paper cranes. Students studying Japanese and Japanese volunteers will set up tables around the display to teach people how to make the paper cranes. The goal of the event is to get the public involved in an activity that brings awareness to the tragedy that occurred in Japan six years ago and to remind them of the survivors who continue to rebuild from the wreckage. As one who lived through the Great Hanshin Earthquake in 1995, I know how devastating a major disaster can be, and how easily the rest of the world moves on while the survivors are left to rebuild. The event will remind people of the disaster and the survivors who continue to rebuild in the Northeast region of Japan. To the left are timelapse videos taken of the event posted on Youtube. They show the entire six-hour event in two mintues. 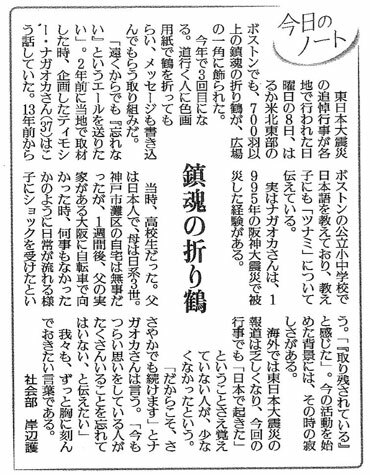 The event has been mentioned twice in articles in the Yomiuri Shinbun Newspaper, a national newspaper in Japan: the first time with a picture on the March 11th, 2013 evening edition, and the second time in a column on the March 11th, 2015 morning edition. If you are able to volunteer, please email, cranesonthesquare@gmail.com with your name and the shift that you are volunteering for. Or, if you know someone that may be interested in volunteering, please forward the information to them. Natural disasters often cannot be prevented or even avoided. However, as an educator, I believe that we can help people understand it. Below, I have created short video clips that help explain the various components of the Northeast Japan Earthquake and Tsunami. 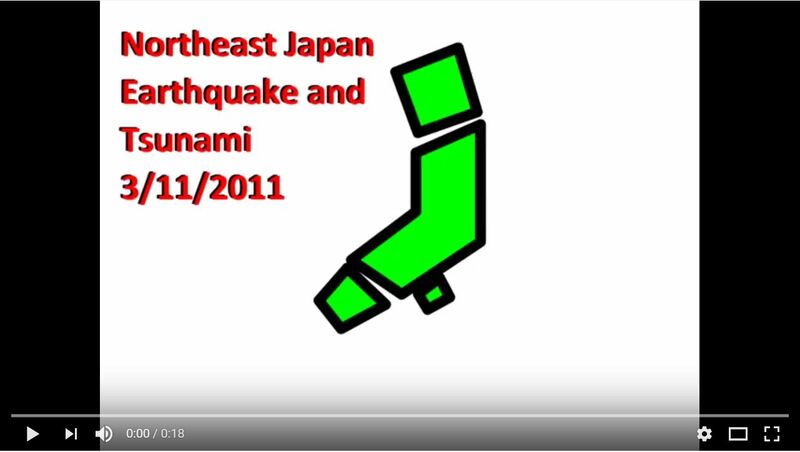 The short video clip describes the events that occurred on March 11th, 2011, the day of the Northeast Japan Earthquake and Tsunami. 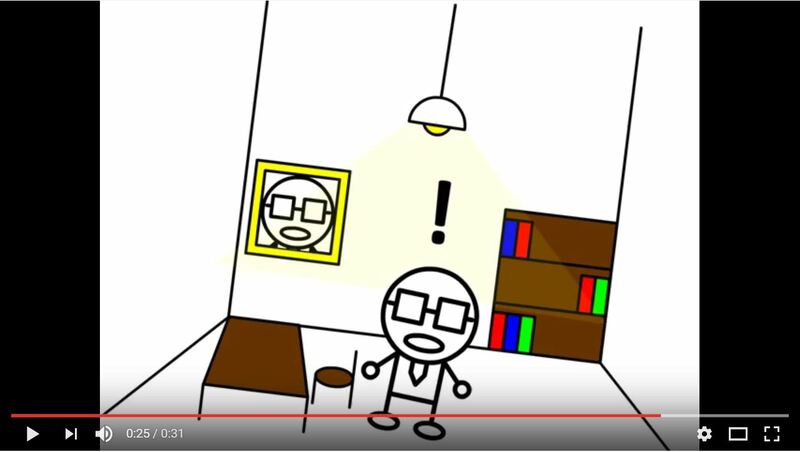 The short video clip shows the affects of an earthquake on a room in varying magnitudes. It begins by showing the affects of a magnitude 1 earthquake, and continues until showing the affects of a magnitude 7 earthquake. The Northeast Japan Earthquake was a magnitude 9. 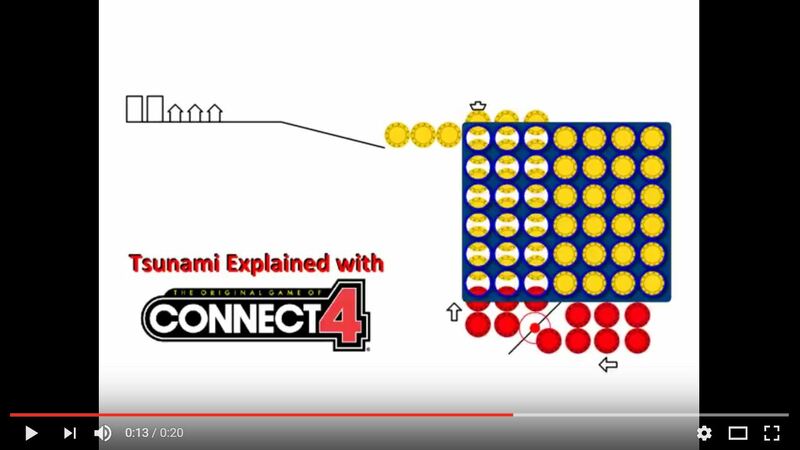 The short video clip uses the popular board game, Connect 4 to show the displacement of water caused by a shift in the fault line, which causes the water to rise and results in a Tsunami. The red pieces represent the surface underwater, and the yellow pieces represent the water. 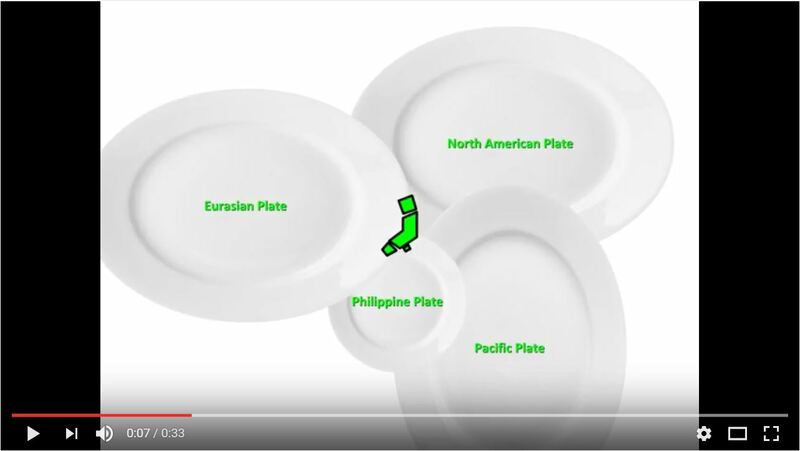 The short video clip uses dinner plates to show the Tectonic Plates that surround Japan. It also describes the mechanism that shifts the Tectonic Plates and causes Earthquakes. 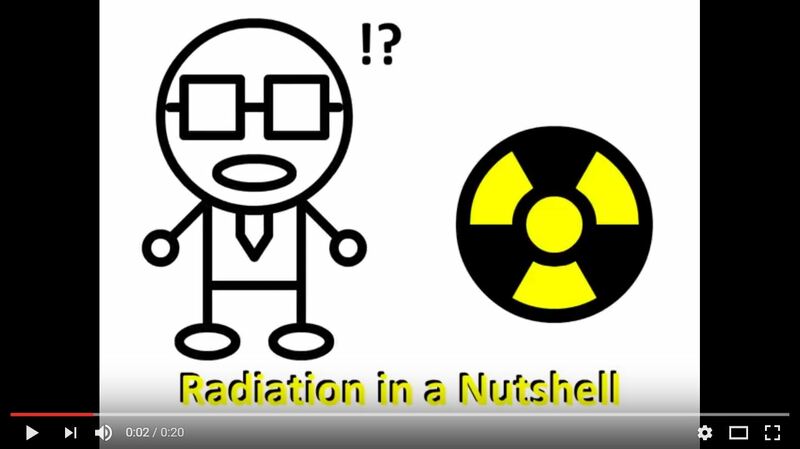 The short video clip shows the affects of Radiation on a person. Among younger students, there is a misconception of Radiation as some kind of toxic fume. Radiation is a ray of energy that can break the chemical bonds in the DNA of a cell, which will disrupt its function and result in the mutation or the death of the cell. 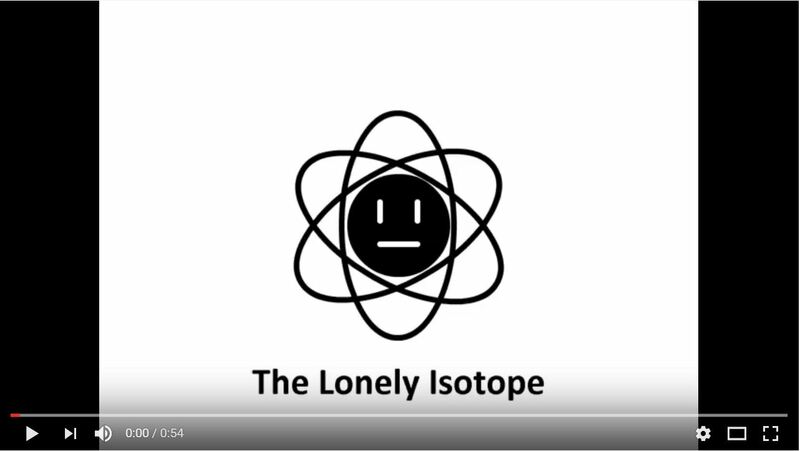 The short video clip tells a story from the perspective of an isotope. It explains how an isotope is different from regular atoms, and how it creates energy to fuel power plants and bombs.